It's back and better than ever! Love Life Live Lent returns for 2013, helping you change the world for the better during Lent one small action at a time! This new fourth edition offers 40 simple child-friendly actions for each day of Lent to make the world a better place - locally, nationally and globally. This is a pack of 50 copies of the Kids version. 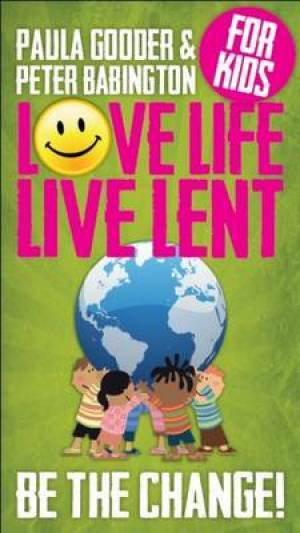 Love Life Live Lent Kids Pack of 50 by Paula Gooder; Peter Babington was published by Church House in November 2012 and is our 2620th best seller. The ISBN for Love Life Live Lent Kids Pack of 50 is 9780715143162. Be the first to review Love Life Live Lent Kids Pack of 50! Got a question? No problem! Just click here to ask us about Love Life Live Lent Kids Pack of 50.